HELSINKI (AP) — President Donald Trump blamed the United States, and not Russian election meddling or the country’s annexation of Crimea, for a low-point in U.S.-Russia relations hours before a summit with Vladimir Putin that played out against a backdrop of fraying Western alliances, a new peak in the Russia investigation and fears that Moscow’s aggression may go unchallenged. Monday’s meeting, which was being closely watched by rattled world capitals, was condemned in advance by members of Congress from both parties after the U.S. indictment last week of 12 Russian military intelligence officers accused of hacking Democrats in the 2016 election to help Trump’s presidential campaign. Undeterred, the American president was set to go face-to-face with Putin, the authoritarian leader for whom he has expressed admiration. 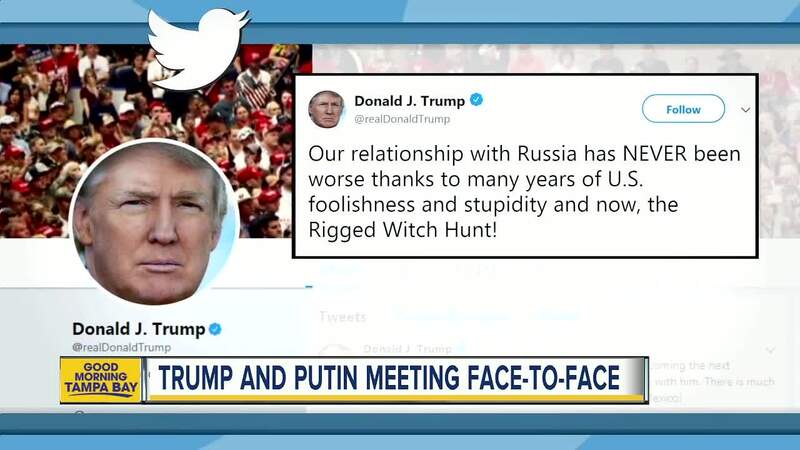 The meeting comes as questions swirl about whether Trump will sharply and publicly rebuke his Russian counterpart for the election meddling that prompting a special counsel probe that Trump has repeatedly labeled a witch hunt. The Obama administration did, in fact, take action, including confronting Putin in person as well as expelling nearly three dozen Russian diplomats the U.S. said were actually intelligence operatives and imposing new sanctions. 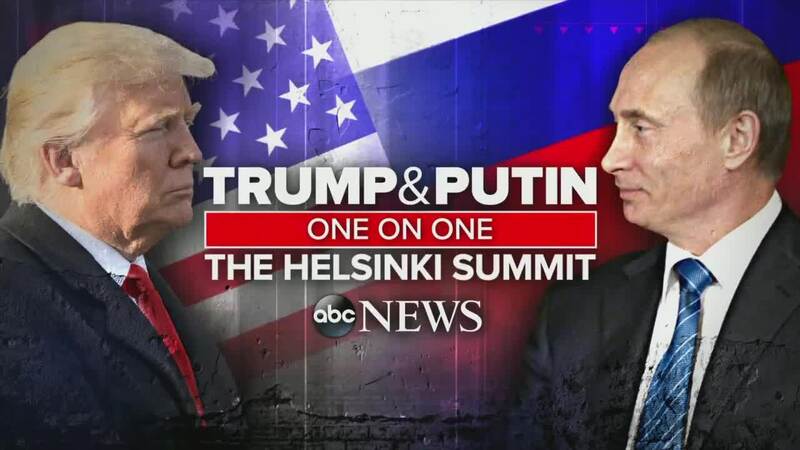 While Trump was eager for a made-for-TV moment that will dominate headlines like his sit-down with North Korean leader Kim Jong Un last month, the Kremlin’s primary mission was simply to have the summit happen. Putin hopes the meeting, mere hours after he presided over the World Cup finals, will help him forge good personal ties with Trump and focus on areas where Moscow and Washington may be able to find common ground, such as Syria. The two leaders first meet one-on-one in the Finnish presidential palace’s opulent Gothic Hall, then continue their discussions with an expanded group of aides and over lunch in the Hall of Mirrors, once the emperor’s throne room. The leaders will then take questions at a press conference before going their separate ways. Putin will likely not be shooting for official recognition of Russia’s 2014 annexation of Crimea or easing of the crippling U.S. sanctions, aware that the U.S. Congress would never allow such action. But he would welcome a symbolic end to Western protests over Crimea and Moscow’s attempts to destabilize elections and traditional Western alliances and norms. Trump unleashed his own attacks on those very institutions before arriving in Finland. That attack on the alliance came on the heels of Trump’s jarring appearance at a NATO summit in Brussels, where he harshly criticized traditional allies over “delinquent” defense spending only to later confirm his commitment to the military alliance that has long been a bulwark against Russian aggression. Ahead of his sit-down with with Putin, who has cracked down on the free press, Trump has continued to unleash a series of attacks on the media, including as Air Force One descended into Helsinki. Hovering over Helsinki is the specter of the 2016 election interference and ongoing special counsel Robert Mueller’s investigation into possible collusion between Trump campaign officials and Russia. Trump said in Britain last week — another chaotic stop on his European tour — that he would raise the issue of election meddling with Putin even as he played down its impact. Trump also said in the CBS interview that he had given no thought to asking Putin to extradite the dozen Russian military intelligence officers indicted this past week in on charges related to the hacking of Democratic targets. But after being asked about that by his interviewer, Trump said “certainly I’ll be asking about it” although extradition is highly unlikely. The U.S. doesn’t have an extradition treaty with Moscow and can’t force the Russians to hand over citizens. Russia’s constitution also prohibits turning over citizens to foreign governments. Putin is likely to strongly reaffirm his denial of any meddling and cast the U.S. charges as unfounded. The Russian Foreign Ministry rejected last week’s indictment as part of a “shameful comedy” staged by those in the U.S. who try to prevent the normalization of Russia-U.S. ties, arguing that it doesn’t contain evidence to back the accusations. On Syria, a possible deal could see Moscow helping mediate the withdrawal of Iranian forces and their Hezbollah proxies from the areas alongside Syria’s border with Israel — a diplomatic coup that would reflect Russia’s carefully cultivated ties with both Israel and Iran. While both Putin and Trump spoke about the need to discuss arms control issues, they are unlikely to make any quick deals. They may underline the importance of continuing the discussions, setting the stage for discussions on expert level.